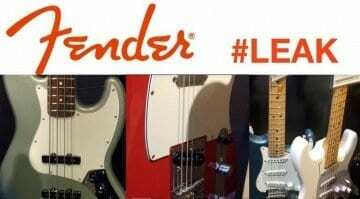 A new Fender model has been spotted in the wild! 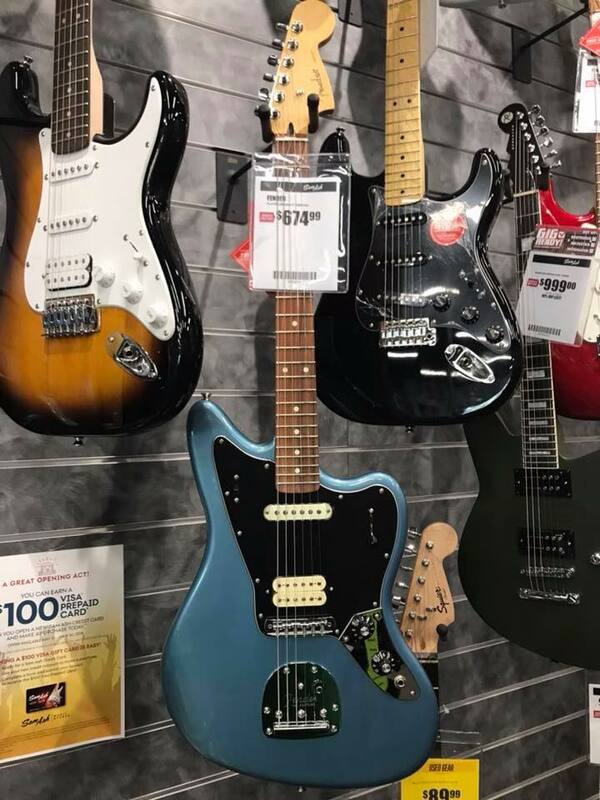 Surfacing on Facebook, this appears to be a new Jaguar, with a bit of a subtle variation on the classic 1960s offset we all know and love. The guitar seems to be on sale in Sam Ash in the USA now, so someone there has jumped the gun and put it out on the shop floor! This new model was spotted by a keen eyed member of the Facebook Offset Guitar group! 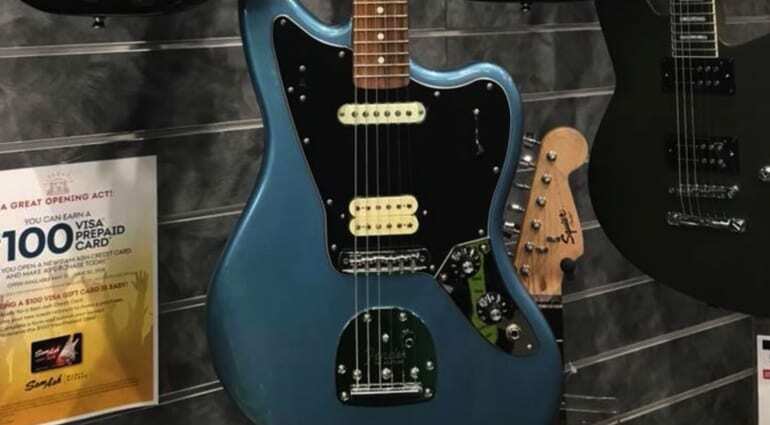 The model is listed on the price tag as a Fender Jaguar PF Tidepool but we have no further details at the time of writing, there was also a link to a Finnish website in the Facebook post comments section, which had details, but this has since been pulled. Tidepool appears to refer to the colour scheme of this model. 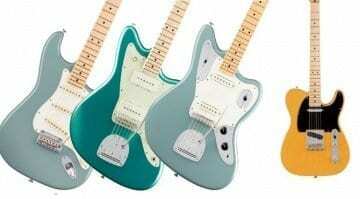 We can see it has a humbucker pickup in the bridge position and the traditional Jaguar control layout is simplified to a pickup selector switch and two control knobs, presumably Volume and Tone. 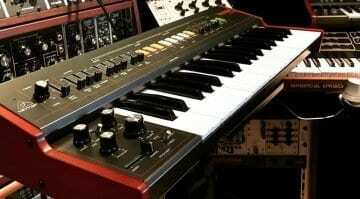 We will add more information as it becomes available! More info coming the 19th, there are also Strats, Tele’s and a jazz bass. 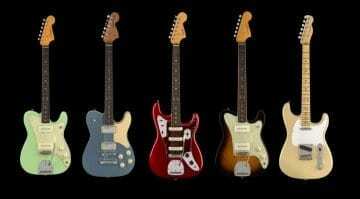 More info coming the 19th, there are also Strats, Tele’s and a jazz bass. Sorry added the wrong video the first time.